Everyone loves the rich, smoky flavors of cooking over an open flame, no matter the season! 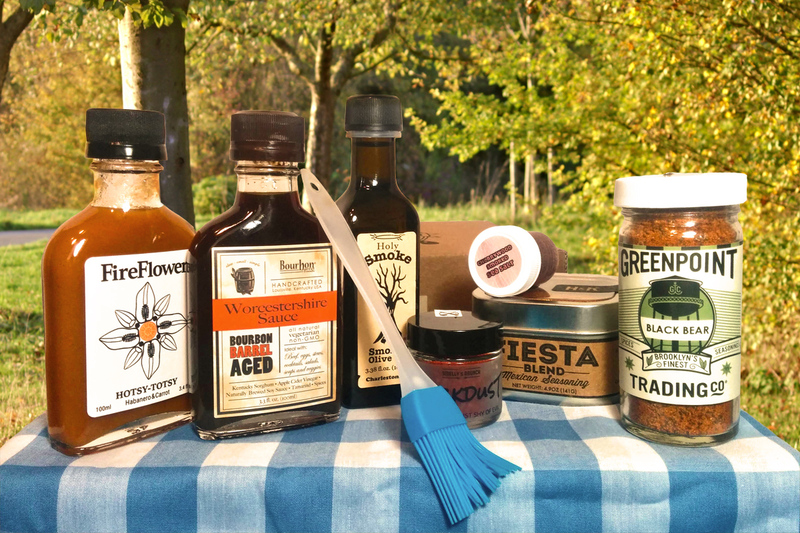 The ingredients in your Campfire Kit were hand-picked to enhance your outdoor cooking experience and remind you of summery flavors in your kitchen even when you can’t fire up the grill. Use #culinariekit to share your creations with us, or join our Facebook group to show us what you’ve cooked up! Use as a finishing oil by drizzling on grilled steak or roasted veggies. Use in place of regular olive oil when making aioli for a special smoky spread. Add a few dashes to hummus, babaganoush or other dips to create more layers of flavor. Cherrywood Smoked Sea Salt should be used as a finishing salt. Its deep red color and rich flavor will add the perfect touch to grilled meats, seafood or pastas. Taste it on its own before sprinkling over a dish to get acquainted with the flavor. You may even want to add a pinch to your margarita! Smoked salt is most potent as an afterthought. Garnish protein-based dishes with a few crystals to really emphasize the flavor of the meat, seafood or tofu. Try a sprinkle on a slice of mango or cantaloupe — you’ll be shocked at the flavors it brings out! Bourbon Barrel Foods is authentic–from Kentucky, where the best bourbon is born. Folks will often argue about the pronunciation of Worcestershire, but no one can argue that Bourbon Barrel Foods’ is clearly one of the best on the market. Bright, tart, and salty, this Worcestershire sauce is perfect in a brine or marinade. When FireFlower Sauce approached us, we weren’t sure a hot sauce had a place in our box. 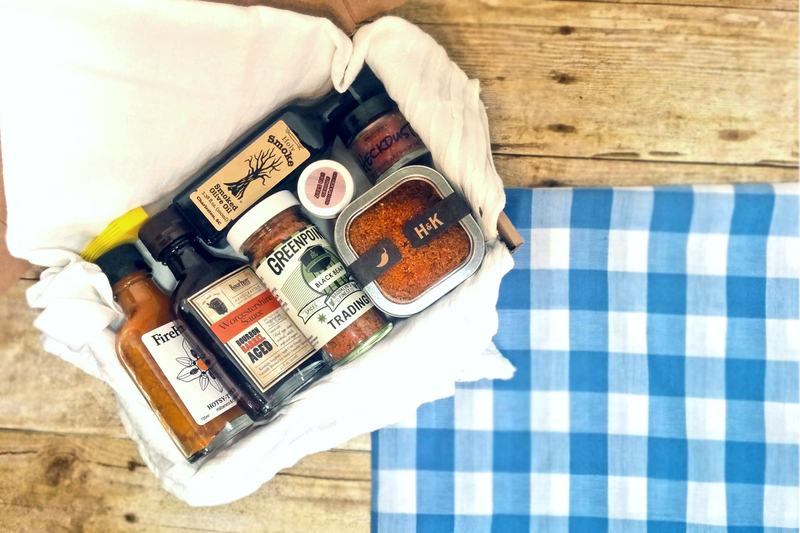 There are plenty of hot sauce gift boxes and subscriptions out there already, after all. Nevertheless, we accepted their generous samples and HOLY HELL! This stuff was too good not to include. All three FireFlower recipes utilize the sweetness and flavor of root vegetables alongside spicy chiles–our favorite was this Hotsy Totsy sauce by far, but all three are worth checking out! Drizzle over scrambled eggs, eggs Benedict, or any other breakfast food for a sweet and spicy kick to your morning. Add a dash to tomato-based soups, dishes, and cocktails (hello again, bloody mary!) for a subtle heat and new flavor. Green Point Trading Company was founded in 2011 by a culinary couple and is based out of Brooklyn, NY. All of their spice and seasoning blends are preservative and additive free! Black Bear is their quintessential camping spice. This little jar will build flavor on anything cooked over an open flame, whether it’s beans, meat, or veggie skewers. Camping with a can of beans? Stir in a few dashes of Black Bear to add some much-needed flavor complexity. If you fancy yourself a fisherman (or fisherwoman), this spice blend makes an excellent lake fish rub. Sprinkle generously into tinfoil veggie packets and toss on the edge of a campfire for a rare nutritious treat while camping. H&K Gourmet only has a handful of products in their line, which is something we at Culinarie Kit love to see! It means they do what they do very, very well. This Fiesta Seasoning Blend is like a punch to the palate with bright, citrusy notes and a hint of sweetness. It makes a fantastic rub for proteins and is a great addition to any Latin style dishes. Pack a skewer with veggies and protein, then sprinkle Fiesta seasoning over it just before throwing it on the grill. Mix into a fresh egg mayo for a unique and complex sandwich spread. Add a tablespoon to a summery vegetable stew for a brighter flavor. Add a dash to a batch of chili for a more interesting heat than your classic cayenne pepper. A light sprinkle will take a pair of overeasy eggs to the next level. Toss with roasted brussel sprouts or kale for a healthy and delicious snack. Sometimes the simplest tool is the one we don’t have on hand when we need it. 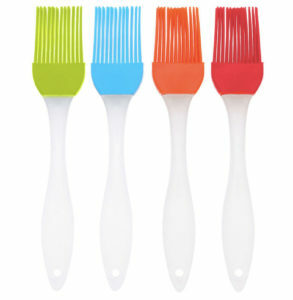 This silicone basting brush is great for keeping your meats moist and your veggies buttery. All Culinarie Kit packaging is 100% recycled or reused from our vendors’ shipments! Please continue the trend and reuse or recycle your Culinarie Kit box to help save the planet. Loving your Campfire Kit? Did you grill up something great? Let us know on our Facebook page, tag us @culinariekit on Instagram, or join our Culinarie Cooks Facebook group to share your creations.